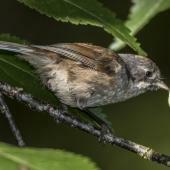 Brown creepers are found in a wide range of forested and shrubland habitats throughout the South Island and Stewart Island. 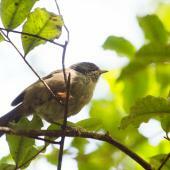 Often the first sign is a large chattering flock high in the forest canopy. 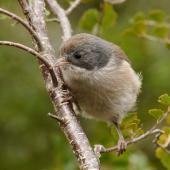 They can be attracted down by squeaking or pishing, but do not stay long as the flock moves on through the canopy. 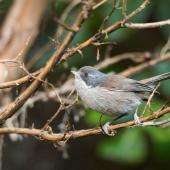 Once sighted the grey face and buff underparts are distinctive. The brown creeper is a small, noisy flocking songbird found in forest and shrubland in the South Island and Stewart Island. It has ash- to dark-grey on the face, sharply demarcated from the light buff underparts. The crown, back, rump and tail are dark reddish brown, with a dark bar on the tip of the tail. 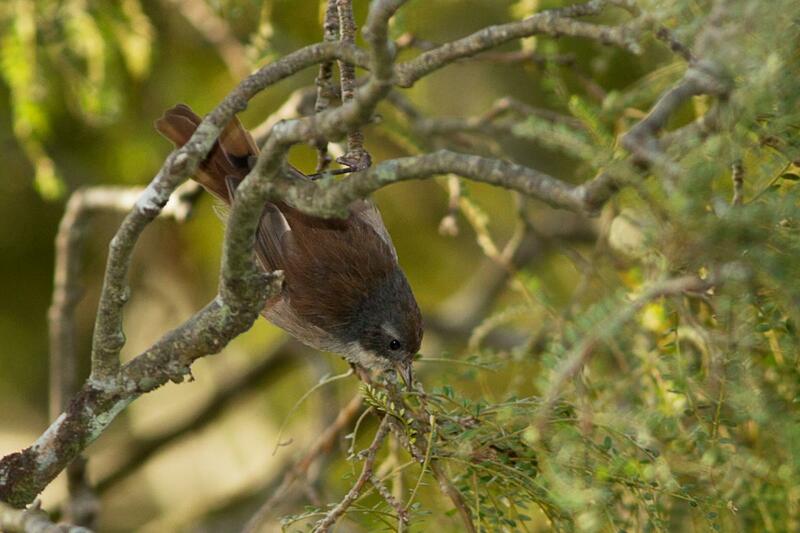 The eye is reddish-brown and the bill, legs and feet are pinkish- or grey-brown. The sexes are alike and juveniles are similar. 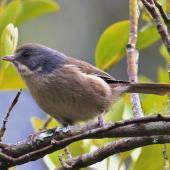 Voice: harsh chattering contact calls, often by many birds in a flock, also canary-like song. Both the contact call and song can be confused with the related yellowhead where both species occur. 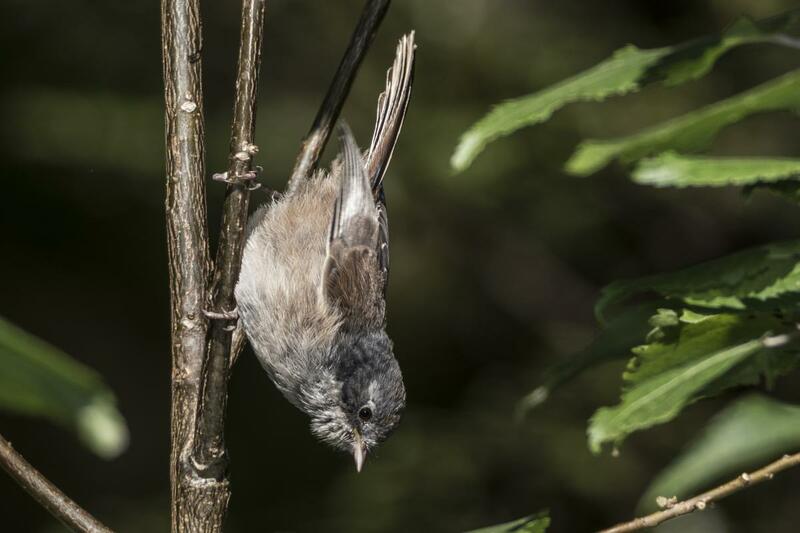 Similar species: dunnock is darker underneath and is more furtive, often close to or on the ground. 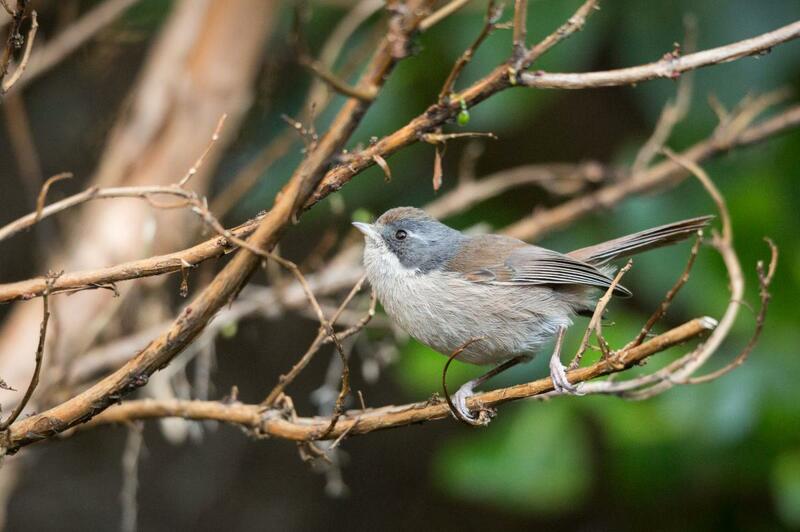 Grey warbler is smaller, rarely occurs in groups larger than a pair, and does not have the sharp demarcation between grey on the face and pale underparts. 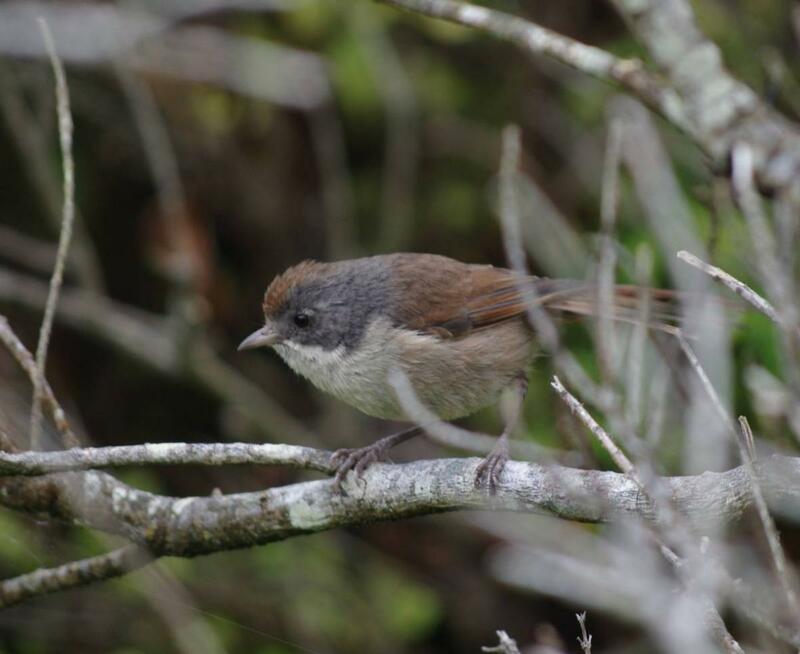 Brown creepers occur throughout the South and Stewart Islands. 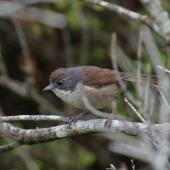 It is present on some islands in the Marlborough Sounds (e.g. D’Urville, Arapawa and Maud Islands), Fiordland (including Secretary, Resolution and Chalky Islands) and a few islands off Stewart Island (Codfish, Ulva and north-east muttonbird islands). 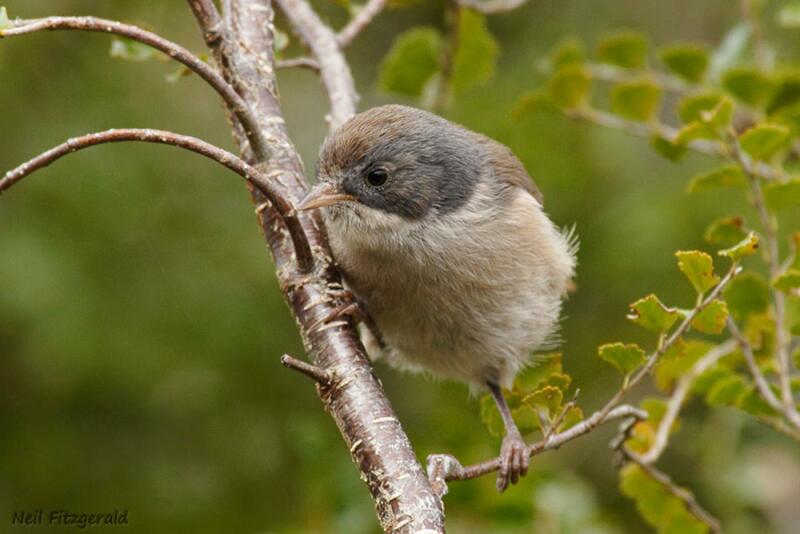 Isolated populations are present on Banks Peninsula, Mt Peel and the Hunters Hills, and they persist at other sites that appear isolated from main populations (e.g. Naseby, Central Otago, and coastal Otago centred on Dunedin). 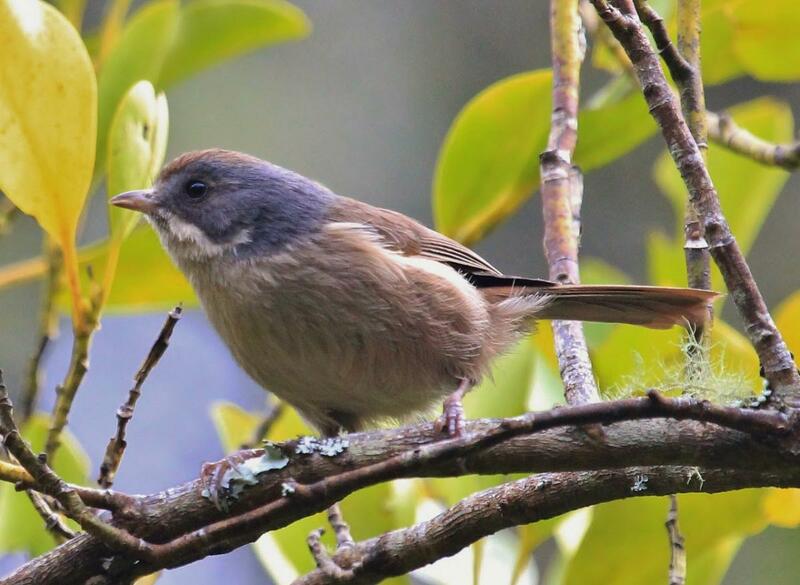 Brown creepers inhabit a wide range of forest types, from sea level to the tree-line, including tall beech and podocarp forests, manuka/kanuka and other scrub forests, muttonbird scrub, regrowing forest, mature pine forests, willow, gorse and broom. Brown creepers are common through most of their range. 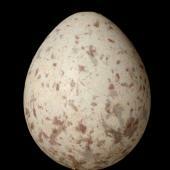 In the nonbreeding season they may form flocks of up to 60 individuals and associate with yellowheads and parakeets. 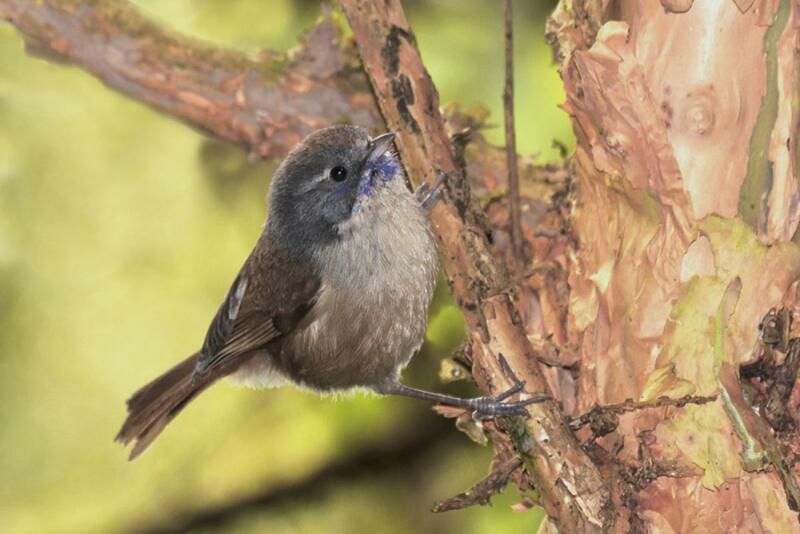 They disappeared from large areas of the eastern South Island following forest clearance, but numbers and distribution now appear stable. 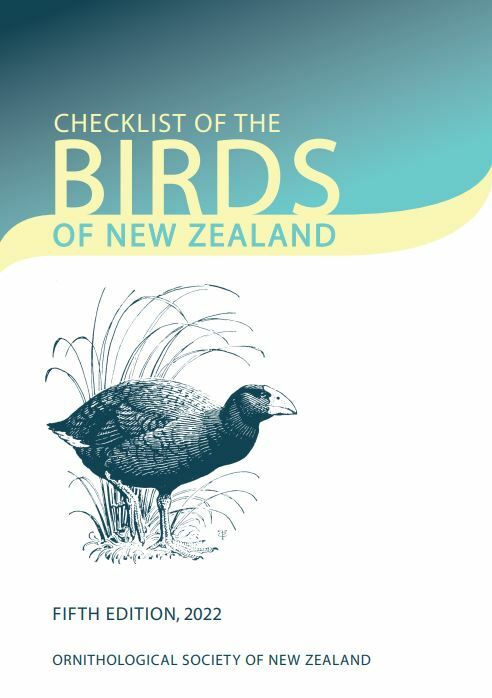 Nesting can begin in September and extend through to early February, with egg-laying from late September to late January. Brown creeper can make up to four nesting attempts in a season but will only raise two broods. Laying peaks in early October, with a second peak in late November indicating renesting attempts. 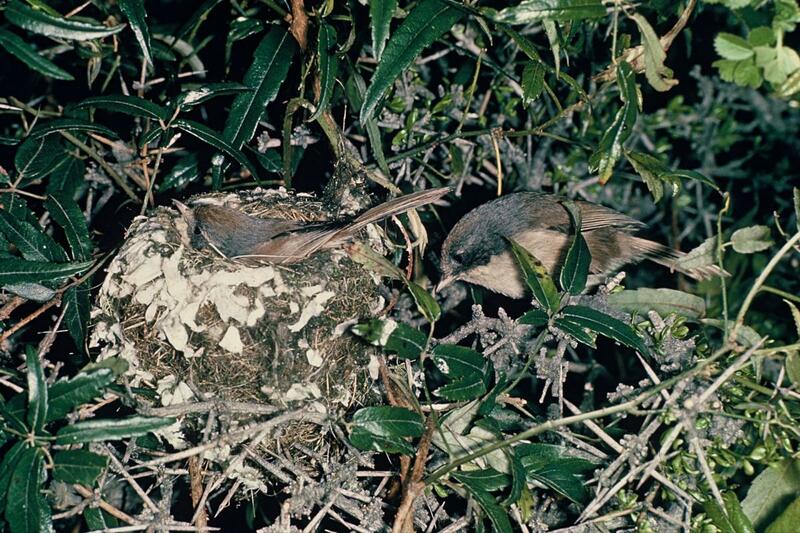 The female builds a compact deep cup of vegetative material including bark, twigs, moss and leaves. It is lined with dried grass, feathers and wool. 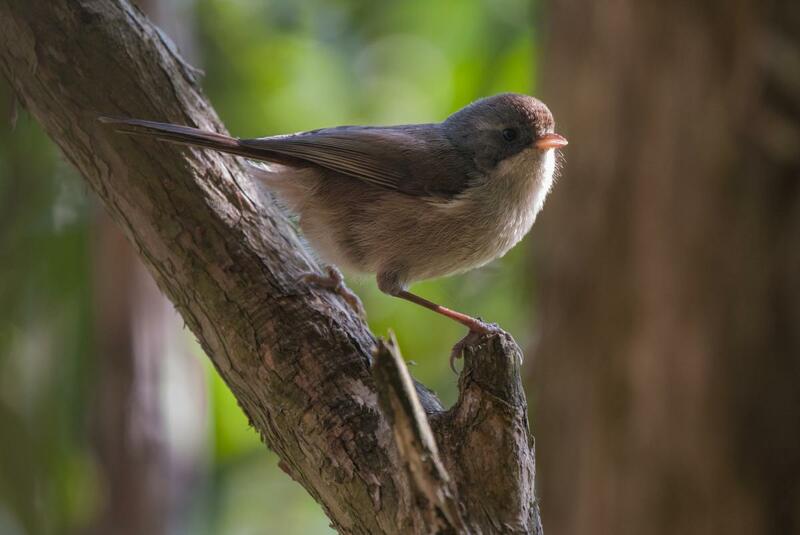 Nests are found in dense patches of foliage in the forest canopy, sometimes in shrubs or low trees 1-10 m above the ground. Males closely attend females during nest building and the start of laying. 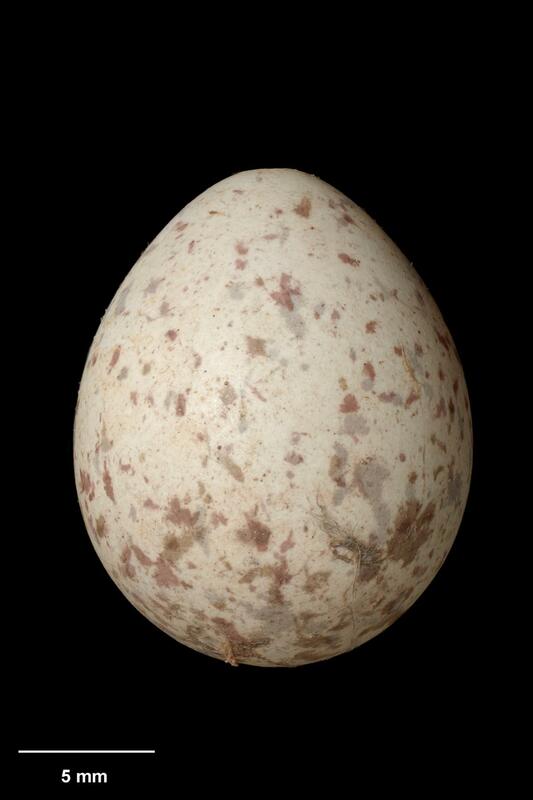 The clutch is 2-4 (typically 3) eggs laid at 24 hour intervals. 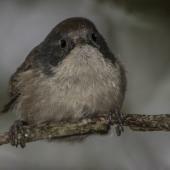 The female alone incubates for 17-21 days and broods the young, but both adults feed the chicks which fledge at 18-22 days. 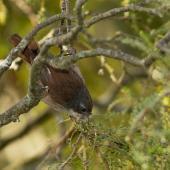 When renesting occurs the male takes over most feeding with some assistance from non-breeding birds. 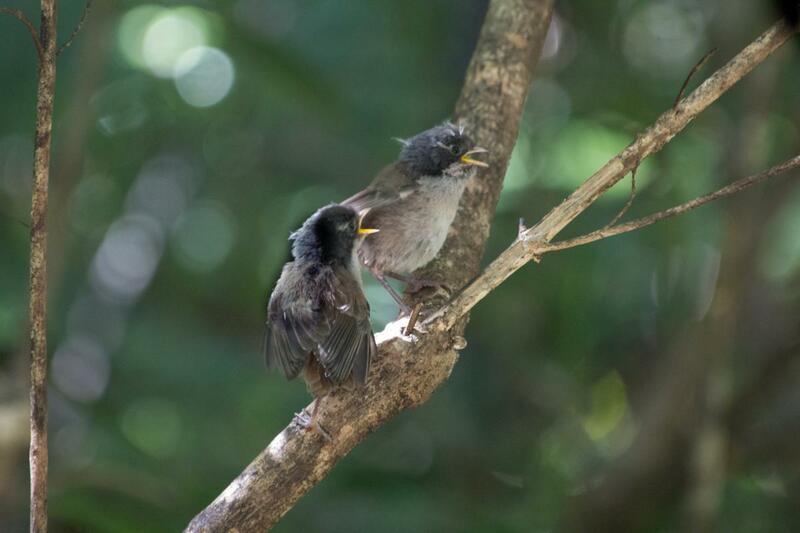 Brown creepers pairs are monogamous and exhibit high mate fidelity, with 64.7% staying together for two seasons and 29.4 % for three seasons; changes in pairs were precipitated by loss of the partner rather than divorce and mate swapping. 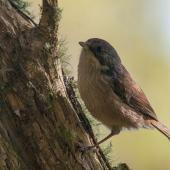 In drought condition there have been reports of cooperative breeding with failed adults contributing food to a nest. 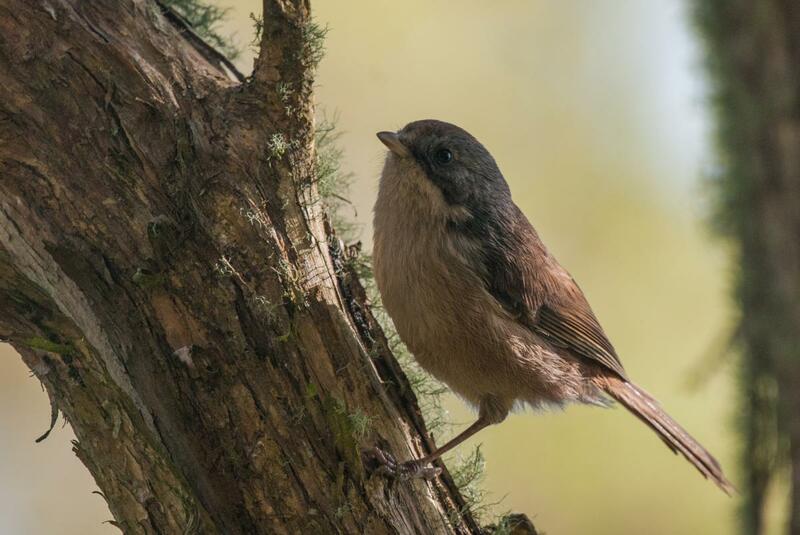 The young of the year stay as a group once they become independent and often form larger groups through the autumn and winter. 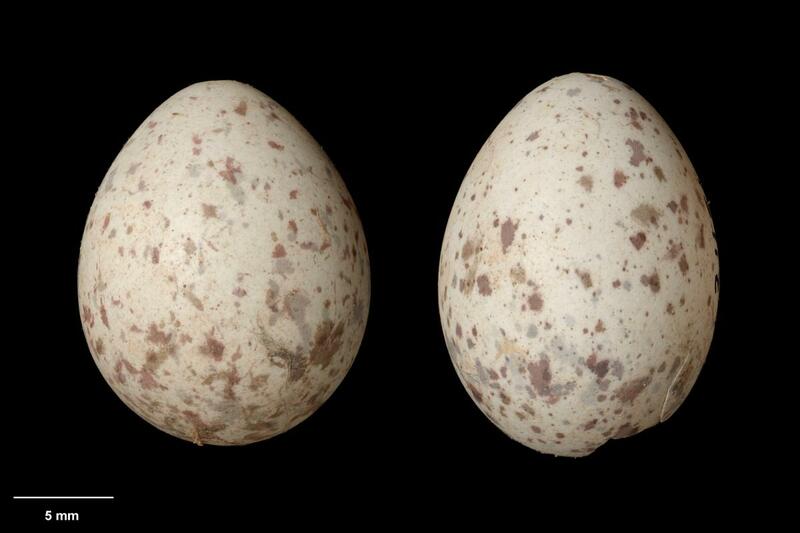 63% of eggs hatch and 36% fledge. 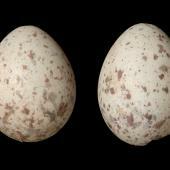 Predation accounted for 62% of eggs and 66% of nestlings lost, with an overall success rate of 1.6 fledglings/adult/year. 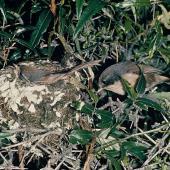 Brown creepers can breed at one year old. 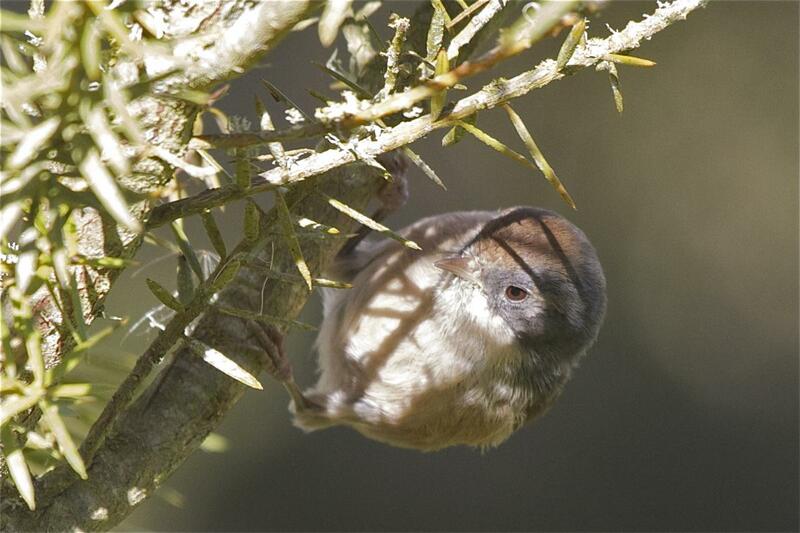 Brown creepers are the primary host for the long-tailed cuckoo in the South Island and Stewart Island. Pairs defend territories during the breeding season and to a lesser extent during the rest of the year. 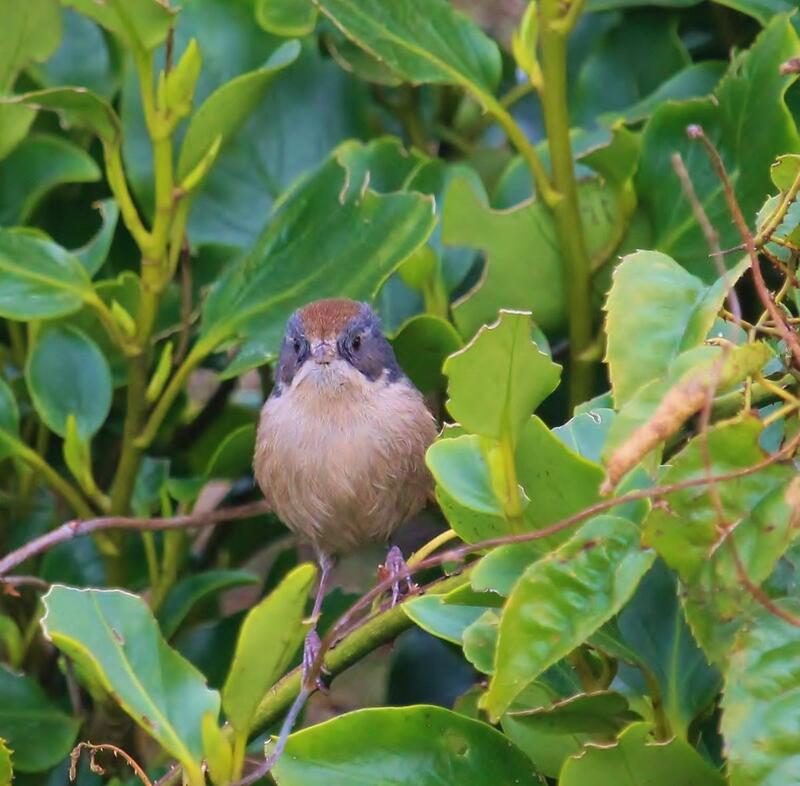 Brown creepers are gregarious during autumn and winter, forming large flocks, often with other species (including silvereye, parakeet, grey warbler and fantail). 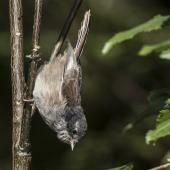 At Kaikoura brown creeper formed the nucleus of mixed feeding flocks. 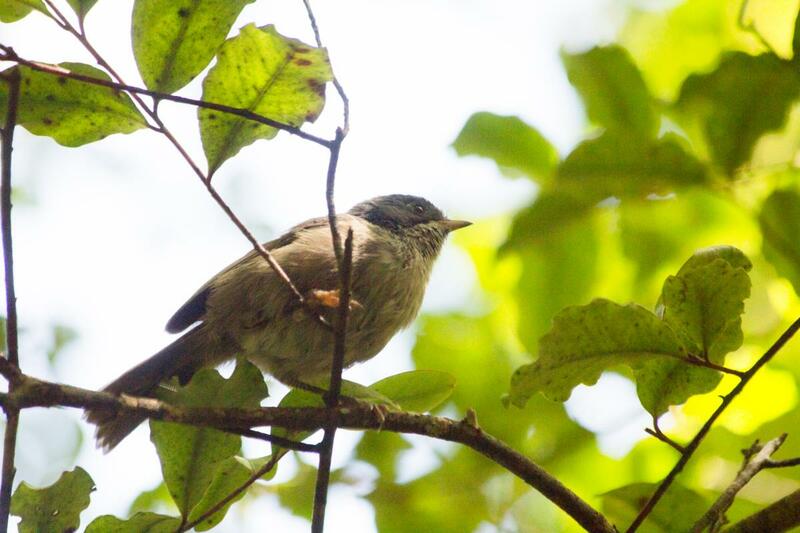 They are non-migratory, but birds in high altitude forests will descend to lower altitudes in winter. 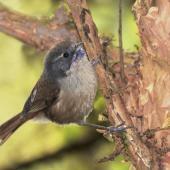 Brown creepers mob long-tailed cuckoos when they are present in spring and summer. 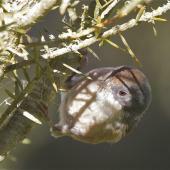 Brown creepers are vocal all day and all year except during the late summer moult. 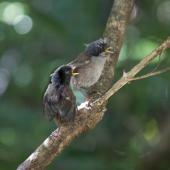 Males give territorial song which varies from bird to bird and is a phrase of slurs notes and whisltes. 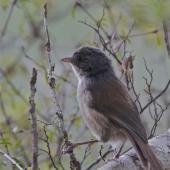 Females sing a rapid sequence of brief notes. 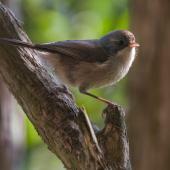 Calls include a wide range of chatters, trills and ‘zicks’. In autumn and winter large flocks will call incessantly whereas small flocks will have periods of silence. They respond readily to “squeaking” and will closely investigate but then the flock will continue to move through the canopy. 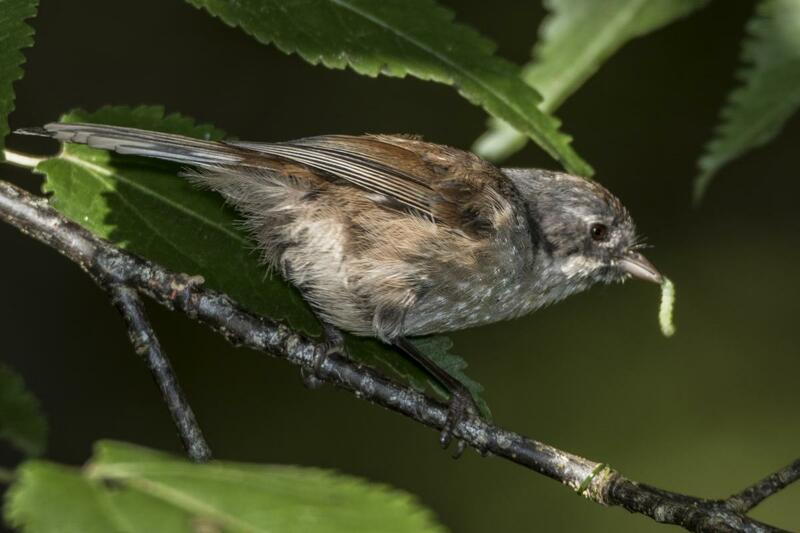 Brown creepers are insectivorous, but take some fruit. Their main prey are beetles, spiders, moths and caterpillars. They glean invertebrates from leaves and small branches in the canopy, and occasionally will glean from loose bark on main trunks and large branches, and will hang upside down to forage. 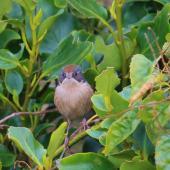 Brown creepers rarely feed on the ground, with most foraging occurring from 2 m off the ground through to the canopy. Aidala, Z.; Chong, N.; Anderson, M.G. ; Ortiz-Catedral, L.; Jamieson, I.G. ; Briskie, J.V. ; Cassey, P.; Gill, B.J. ; Hauber, M.E. 2013. 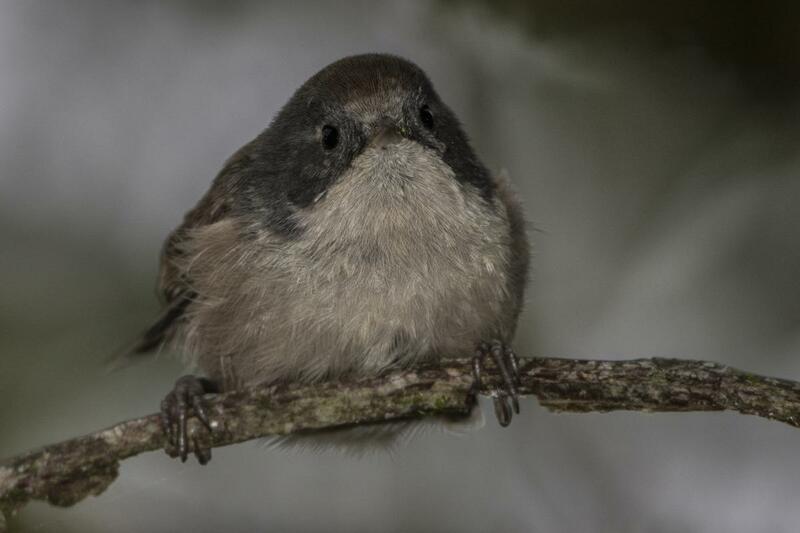 Phylogenetic relationships of the genus Mohoua, endemic hosts of New Zealand's obligate brood parasitic long-tailed cuckoo (Eudynamys taitensis). Journal of Ornithology 154: 1127-1133. A deep compact cup made of bark, twigs, grasses, leaves and lichen. Lined with feathers, wool and grass. 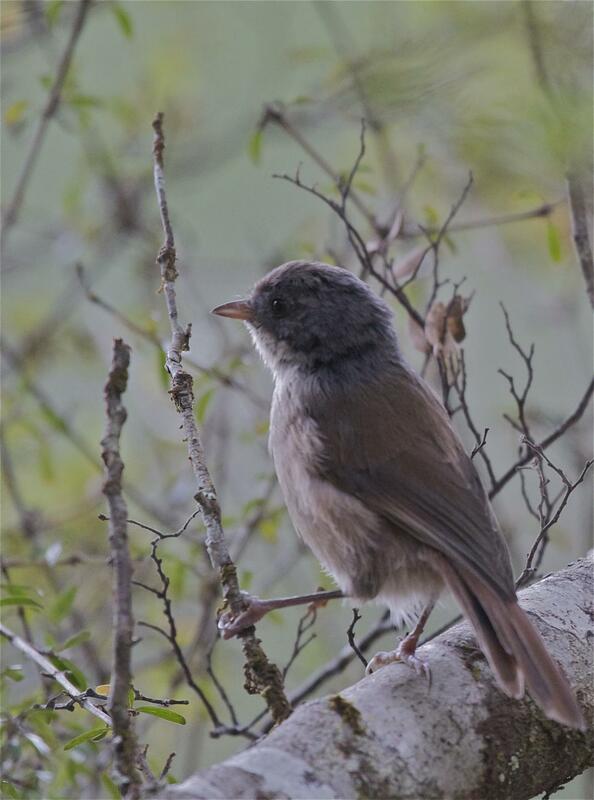 A small forest-dwelling grey-faced songbird with sharply demarcated light buff underparts, a reddish-brown crown, back, rump and tail, with a dark bar on the tip of the tail. 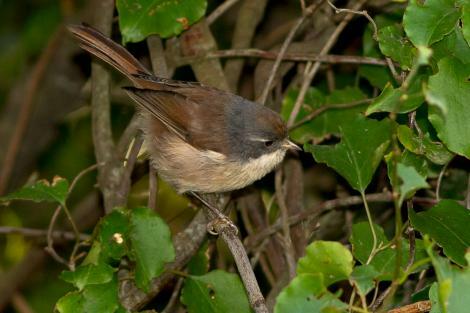 The eyes are reddish-brown and the bill, legs and feet are pinkish- or grey-brown.